They were shipped to the Island of Jamaica and Hispaniola. Others went to Sao Tome, Cabo Verde, and Mauritius. Many of them escaped the Spanish jurisdiction and began independent communes in the hinterlands or the mountains. The Spanish word “Marroons” is a play on their Spanish ethnic designation the “Marranos” (rather than “cimarron” root the conventionally accepted root). NB: In 694, the 17th Council of Toledo made all Spanish Jews slaves. The later persecution in the 15th and 16th century was a throw back to the 17th Council of Toledo. Can you please send me a reference for the: (1694, the 17th Council of Toledo made all spanish jews slaves. ) I reside in the Caribbean island of St.Thomas. So are you saying that Jamaicans are not from West Africa but North Africa and were brought to Jamaica from Spain when the Moors lost Spain to Ferdinand and Isabel? Some are from W.Africa. Some are Black Native Americans, Some are Black Europeans from Scotland. Some are also black Europeans from Ireland. African Americans consist of the same three mixes, primarily Black Europeans, Black Native Americans and descendants of descendants of the exploration party of Askia Muhammad’s brother who’s expedition landed at the mouth of the Amazon River back in the 1400’s. The “blacks from the south” spoken about by Native Americans in conversations with Columbus. Sorry folks but they did not bring you directly here on slave ships unless you were from Brazil. Only 300,000 were brought to the states in total to be married off to native women who lost their husbands due to war or being shipped in the opposite direction across the world. Some of the Moorish Jews wound up in various places around the planet including Jamaica. This does not mean that all Jamaicans came this route. It means that a minority of Jamaicans are the descendants of the Moorish Jews. Of course the vast majority of Jamaicans are descendants of those taken during the transatlantic holocaust (slave trade). Many of the Moorish Jews converted to Christianity via marriage. Some have maintained their traditions and religion. Beautifully written. I could picture it in my mind. It should be an epic illustrated book or a film. Thank you for sharing this and your sources with us. What reference do you have that St. Ignatius of Antioch was a black man? St. Augustine yes, but Ignatius? Please site your source. For the last time, this Hispanola is not the original name of the country. 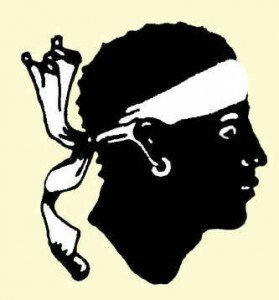 The native name is HAITI, QUISQUEYA, OU BOYO. The informations contained in this is amazing and I say thank you to autor.